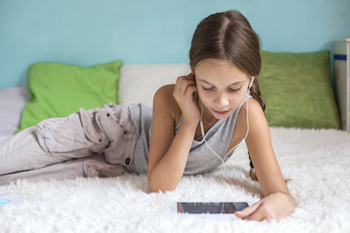 Common Sense Media just did the math in their exhaustive study of thousands of teens (13-18) and tweens (8-12), and the total hours today’s young people spend soaking in media per day might surprise you. Teenagers: 9 hours a day, or 8 hours and 56 minutes, to be exact. Tweens: 6 hours a day, or 5 hours and 55 minutes, to be exact. 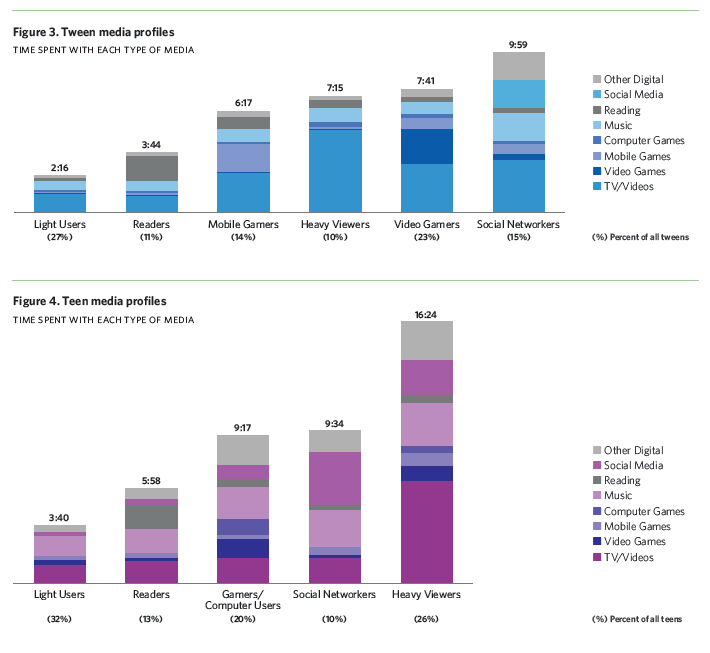 Tweens’ and teens’ media “diets” vary widely, but there are several distinct kinds of media users. As you look at this chart, you might be already mentally placing your kids into one of those slots. Perhaps your kid is a Reader, and only (I use that word loosely) averages about 4 or 5 hours in media each day. Or maybe your kid is one of those Social Networkers or Heavy Users, averaging 9 to 16 hours per day (Yikes!). The 44-page report is eye-opening, but yes, I know many of you don’t want to tackle 44 pages. If that’s the case, you’re in luck. We just wrote a nice 1-page summary for you in this week’s Youth Culture Window article, Screen Addicts. You’ll probably find the article a nice conversation piece to discuss with your kids. That’s why we actually provided some discussion questions at the bottom of the article to help you dialogue with your kids about their media time. That’s why my friend Doug Fields and I wrote the book, Should I Just Smash My Kid’s Phone? Parents are finding it an extremely practical and realistic guide to helping their kids navigate the world of media and technology responsibly. Are you having these conversations with your kids?